From 14 to 20 April meetings of the Board, Council, Examination Board, Quality Assurance Committee, and Scientific Committee of the European joint master`s study programme “Strategic Border Management” are held at Rezekne Academy of Technologies (RTA). The aim of these meetings is to give an overview on the results of the study programme implementation and determine the directions for further development of the study programme. 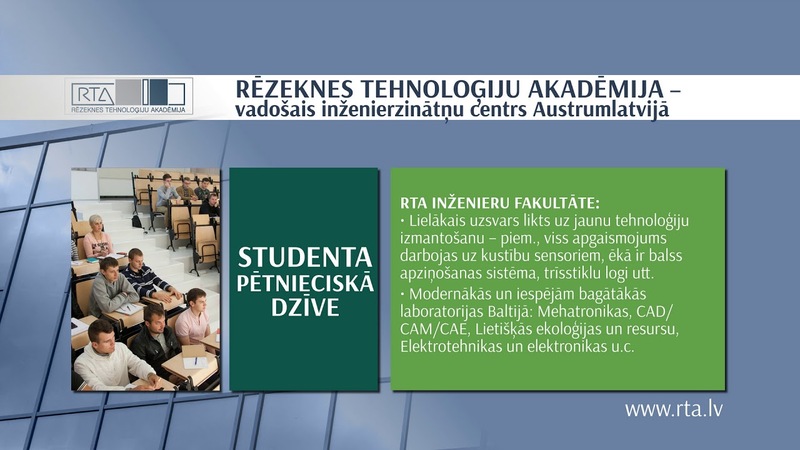 RTA is one of the six higher education institutions participating in the implementation of the European joint master`s study programme “Strategic Border Management”. Within the framework of the study programme, training is also provided at Estonian Academy of Security Sciences (Sisekaitseakadeemia), (Estonia), Mykolas Romeris University (Mykolo Romerio Universitetas), (Lithuania), Netherlands Defence Academy Faculty of Military Science (Nederlandse Defensie Academie Faculteit Militaire Wetenschappen, NLDA), (The Netherlands), National University for Distance-Learning Education (Universidad Nacional de Educacion a Distancia, UNED), (Spain), and the University of Salamanca (Universidad de Salamanca), (Spain).